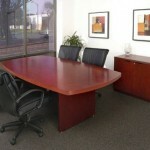 You want your work environment to represent success, sophistication and style throughout. 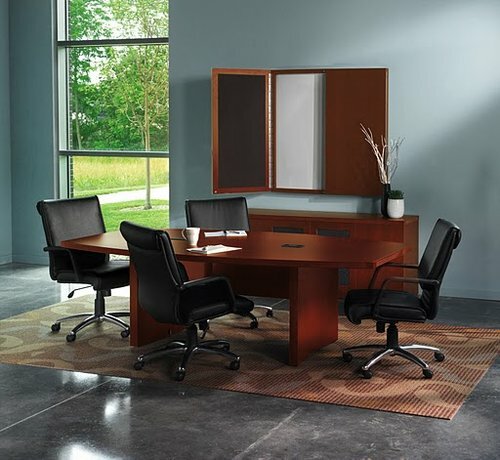 Surprisingly affordable, Aberdeen Series laminate tables and casegoods by Mayline, says it all. Laminate finishes available in both “Cherry” or “Mocha”. 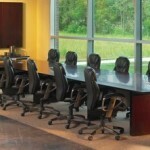 Boat-shaped Conference Tables come in 6-Ft. x 3-Ft. dimensions up to 18-Ft. x 4-Ft. sizes. Round table in 42-inch diameter only. Call one of our sales personnel NOW, for pricing !! !